While I run the risk of alienating a lot of low-carbers out there, I’m choosing to use Atkins as an analogy because I think there are a few parallels between the diet and my reluctance to endorse the debt snowball approach that is currently en-vogue. Generally the accepted science on Atkins as of this writing is that while it is very effective at weight loss, the long term benefits are not entirely clear1. This largely equates to why I don’t advocate the debt snowball approach. 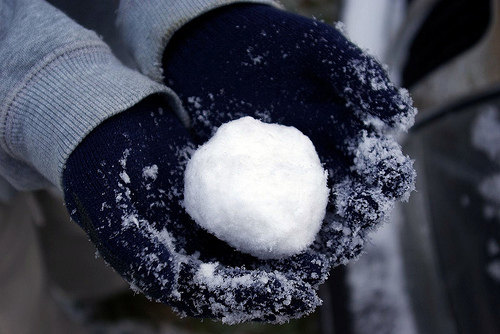 For those who aren’t familiar with it, the debt snowball approach is a fairly simple idea. Advocated by popular finance adviser Dave Ramsey, the basic premise is that instead of paying off your highest interest rate debt first, you should pay off your smallest balance first2. The thinking behind the idea is that by “knocking off” debts as quickly as possible, you build momentum. This momentum gives you a sense of accomplishment and helps you persist in changing your habits. While purists may take me to task on the details, I believe I’ve captured the essence of the method. Ultimately my first problem with the approach is the obvious one: You are not increasing your net worth as quickly as possible. What’s particularly interesting however, is that by the end of one year using the debt snowball, you would see a significant improvement in your lower interest rate debts. You would have paid your smaller debts down by considerably more than you would have paid your higher interest rate debts back. It intuitively looks like you’re in a better position. Thus you stay motivated and keep paying down debt because it looks like you’re making progress. In reality you’re actually losing ground. To be fair this is a fairly contrived example and in most cases you’ll make headway either way. But that brings me to my real objection to the debt-snowball. When it comes to debt, if I’m relying on how I feel vs. learning to feel better about what is in reality the best course of action, then I’m not really learning how to be financially wise. In fact isn’t this sensation what gets people into debt in the first place? Isn’t the notion that it feels like you own those things, even though you haven’t paid for them that gets you in trouble. So I’m not sure that advocating a plan that feels like you’re being responsible even though there’s a preferable approach is the way to go. Maybe I’m unrealistic and some people just can’t learn basic finance. I’m also fully aware of the power of behavioral learning so I’m not rabidly opposed to this approach. It just seems to me that maybe, much like Atkins, this isn’t a fix-all for an age old problem. It may be a convenient way to get people to see results, it may not be the best in the long run. Interesting parallel. I think the counter argument of course is one of simple efficacy. Some people just don’t have a good mind for finance and if they can fool themselves into feeling better about what they’re doing, the result is better than if they shoot for the moon and fail. Certainly compelling, but at the same time doesn’t that seem to be arguing for the quick-fix instead of actually sitting down and figuring out why you can’t/won’t get your arms around finance? Yeah, the debt snowball method could possibly be good advice for some, but if I was in debt at this moment I don’t think I would follow it. I would always go for the highest interest rates first. Is that really a much harder principle to follow than paying off the lowest balance first? Perhaps if there was a good method of showing progress comparable to a balance being wiped out like with the debt snowball. What about cashflow? I feel that the biggest benefit of the debt snowball is that it increases cashflow, which gives you flexibility to deal with unexpected expenses. @MP: If people need motivation other than the balances going down, maybe they should break their debt up into some kind of chunks? @Jeff: How do you feel that cash flow is better in the Debt Snowball than otherwise? Presumably you’re making all your minimum payments on your debts either way and then putting the rest towards a particular debt. In either case I would think cash flow would be the same. Or is there a wrinkle I’m missing? The cash flow would be the same at the beginning, however with the debt snowball method you will pay off one (or more) of your balances quicker, therefore eliminating that minimum payment. Sure, but those minimum payments are proportional to the balances, so while I’m not an expert on minimum payment calculations, I would think that as the balance of the higher balance one went down your interest rate would go down proportionately, however if there’s a constant applied, then you’re absolutely right. I will investigate. Great observation MP. People just need to vastly increase their knowledge and awareness of financial literacy. If you are financially literate, you can go much further in life and even have greater potential to build your net worth.